Developers have been active in supplying housing as long as cities have existed. They often come under a lot of criticism, but without them there would be a huge shortage in our local housing stock. Of the 7.1 million dwellings in Australia, only 4% were provided by public housing authorities. On the other hand, some 50% of dwellings in countries such as The Netherlands and Hungary are supplied by public authorities. 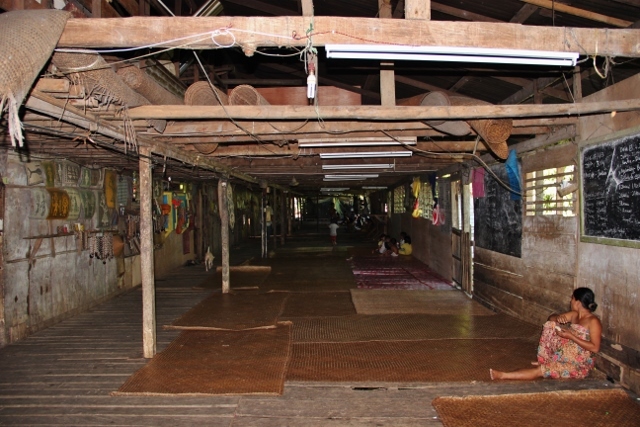 In rural economies, large families often lived under one roof, sometimes provided by landowners or self-built by the wider community (Image 02). Labour was unpaid and organised along family or tribal lines. The safety concerns, and need to store produce, house animals, encouraged inward facing compounds, rather than street patterns. As the wealth and economies of cities grew, there was an increased need for specialised labour. Builders, craftsmen, and other gilded trades emerged, and distinct social classes developed. These trades were often accommodated within or in the vicinity of the city centre, and often adjoined public spaces, where religious, pilgrimage and commercial activities were assigned. It was the specialisation of labour in cities that encouraged trade and cultural institutions, leading to an increase in fortified habitations. As cities increased in size, land ownership allowed the construction of residential areas, and the need to provide numerous dwellings. As cities were often fortified, the premium placed on land encouraged dense, multi-storied accommodation. Examples include the Roman Insulae (Image 03), which housed the majority of ancient Rome’s population, and were built by wealthy Roman Senators with access to the required capital. Image 03. Roman Insulae. A typical street scene. Shops are on the first floor of apartment buildings. Natural and man-made disasters, predominantly fires, resulted in the first building regulations; limiting height, improving construction, and including external balconies to facilitate access by an increasing number of fire brigades. Generally, the apartments were rented. The poorer lived on top, with the first floor above the shops being the most desirable place to live. The first developers had the capital, and the knowledge to provide the dwellings required. However, the conflict between greed and amenity/safety has been a constant to this day. Before the development of the banking system, prompted by international trade, few had the means to provide large scale accommodation, apart from traditional rulers. 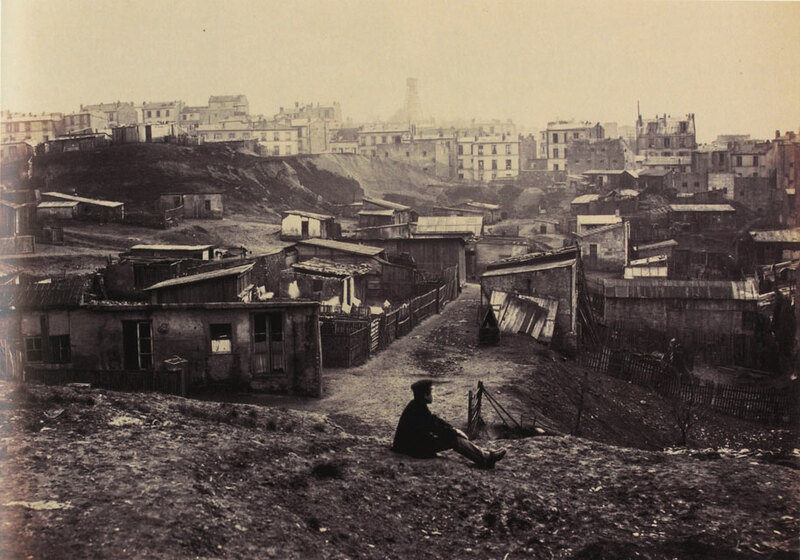 As migration to the cities intensified, their peripheries were often a scene of unregulated self-built dwellings on rural land, such as Montmartre in Paris or present day slums/favelas. Original shop top housing along early street patterns gradually evolved, with multiple storied wooden structures built atop the existing building footprint. In Paris in particular, the resultant overcrowding and lack of essential sanitation and water supply, resulted in multiple epidemics. In 1832 a major cholera outbreak eventually prompted the upgrading of sewers and roads. This was the start of Paris’ major restructure, which resulted in the demolition of city walls, and wholesale replanning by Hausmann. Finance was provided by insurance companies and wealthy individuals, and strict regulations on height, construction and design were imposed - which determined the present day central Paris. The need for housing of all types from the humble to the sumptuous apartments of the Maison Particuliere were fulfilled by Developers. As well as Developers, philanthropists saw the advantage of providing healthier and affordable housing for the workers in their particular industry (Image 05). In Australia, strata laws were pioneered in 1961 to replace the company title and introduced to enable financing of apartment buildings and the right to occupy space (Image 06). The first wave of apartments constructed following the introduction of strata laws, were regarded as transitory accommodation only, with the detached house with garden still remaining the aim (Image 07). Townhouses followed, providing a reasonable compromise, based on the English Victorian model to house smaller families, closer to the city centre. Demographic changes and the gradual acceptance of apartment living as a permanent alternative, enabled early developers such as Henry Pollack (a founder of Mirvac) to build larger, more luxurious apartments for an ageing, and sometimes migrant market. Developers recognised the need and provided the product, with the authorities playing only a secondary role. The risks were taken by private enterprise. A number of planning controls and state government policies have been introduced gradually to set standards, and ensure that the new apartment dwellings (set to soon outstrip the detached suburban house) are fit for long term habitation. Examples of good design and sound planning abound, starting with 18 C England, and more recent works by Developers and NGO associations around the world who are directly responding to community needs and expectations. Developers respond to demand. However, the supporting services, transport and infrastructure are government responsibilities, and require long term planning, not an impromptu response to calamities.